Top Gear USA – Can You Get From Portland to San Francisco On Just One Tank Of Gas? Sep - 04 | By: Green Production | no comments. We will find out tonight if it’s possible to drive from Portland to San Fransisco on just one tank of gas. 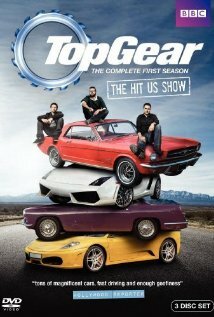 The History Channel’s Top Gear USA series, modeled after the UK BBC series of the same name, has a similar set up with weekly car challenges and rewards. Tonight’s challenge takes presenters, Tanner Foust, Adam Ferrara and Rutledge Wood from Portland to San Francisco without being allowed to fill up. Whomever makes it closest to San Francisco wins the chance to drive the “toughest off road machine in the world” in a race in the Colorado mountains. As with the UK series you do not need to be a motor-head to like this show plus for those that are green-minded, it will be interesting to see which, if any, hybrid vehicles they use on this 600+ mile trip because it’s not all down hill! Watch tonight on the History Channel (9pm).